Nature gives us the solution to a healthy lifestyle and the tools to maintain our body system in good conditions. Through generations we have known that nature is wise and one of the many benefits it has for us is the Agave Inulin. Helps to control high blood sugar levels especially in those suffering from diabetes. If you suffer from constipation, diabetes, high cholesterol and triglycerides, obesity, and gastrointestinal problems-agave inulin is ideal for you. Although, even a healthy person could receive valuable benefits by ingesting agave inulin due to its rich fiber that supports the intestinal wall and helps prevent health problems while maintaining a good digestive system. 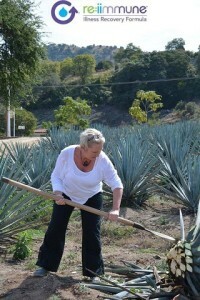 re:iimmune® has strengthened it’s formula by adding organic agave inulin directly from the land of tequila and agave, Jalisco, Mexico-where agave is cultivated with extreme care and the best quality available. Because of this, and many other benefits, re:iimmune® helps you get better, better. 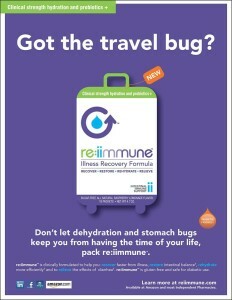 Get to know more about re:iimmune® at www.reiimmune.com. Maybe you’ve walked past it lined up on a shelf at your local pharmacy, or seen an ad pop up as you were scrolling through your favorite sites, but what do you really know about re:iimmune®? Well here are THE FACTS; re:iimmune® was created by Springfield Missouri Native, Dr. Kerri Miller– she saw a missing link in our health care system and set out to find the solution, an over the counter, illness recovery formula that will help you get better, better at home. re:iimmune® combines clinical strength hydration, with a prebiotic and 14 probiotics for intestinal immune support, a dose of zinc for extra immune boosting power, ginger– to soothe nausea, and L-glutamine to aid in repairing intestinal tissue. This powerful pack of essential nutrients pairs well with a balanced anti-inflammatory diet, and to top it all off, it is made with organic agave (prebiotic), all natural flavoring, and is sugar and gluten free. Where can you find it, you ask? Good question! 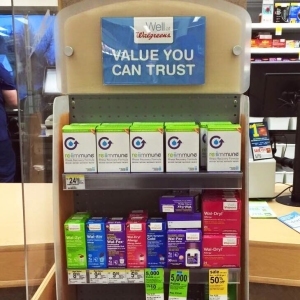 re:iimmune® has been on shelves locally since August of 2014 and we are proud to announce you can now also find re:iimmune® at one of four Walgreens in the Springfield Missouri area. Not in Springfield? Check out our store locator to find a location near you. Now that you know the facts, we want to help you get better, better! For more information on re:iimmune® click here. We can’t deny that antibiotics have become a sort of controversy as of late, but to deny them the respect they so deserve, would be doing ourselves a great disservice. The history of antibiotic discovery and use is actually a very interesting story; some say it dates all the way back to the early Egyptians who use to bandage wounds with a type of moldy bread poultice. Isn’t that nice? Needless to say, we’ve come a long way since then. Penicillin was our first successful antibiotic pioneer, before Alexander Fleming discovered the bacteria fighting power of penicillin, a simple cut or scrape could introduce serious infections and even fatality—not to mention the fact that we had no way of fighting pneumonia, strep throat, rheumatic fever or gonorrhea. 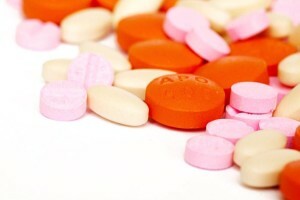 The threat we face today is the overuse of antibiotics. We’ve stopped using them solely for life threatening infections and have started relying on them for every discomfort in the book. We’ve begun to create a community of antibiotic resistant bodies and diseases. There are many consequences that come with the abuse of this powerful medicine, aside from the threat of them becoming completely ineffective–they also leave our immune systems worse for the wear as they destroy all bacteria in their path, including the healthy bacteria that keep our gut, the epicenter of our immune system, healthy and functional. Our advice? Do everything in your power to build your immune system naturally-rest, eat right, and at the end of the day when you feel yourself coming down with something, evaluate the situation. Consult your doctor on whether what you’re experiencing truly is concerning enough to introduce antibiotics. Antibiotics are wonderful when used correctly and re:iimmune® will help your body begin to recover by re-introducing good bacteria to your gut, relieving antibiotic related nausea with ginger root extract and will also begin to repair your intestinal wall with it’s multifunctional L-Glutamine that also aids in hydration absorption. Vacation. Whether it be a tropical spring break trip, a honeymoon to the Virgin Islands or a guy’s ice fishing trip in the frigid Pacific Ocean—we all have fond thoughts and eager expectations of what we call “vacation”. 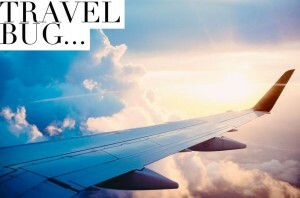 The last thing you want to think about after spending hundreds of dollars on flights and accommodations, not to mention, numerous hours daydreaming about the sound of waves lapping outside your cabana, is a round of the stomach flu or an unexpected sinus infection interrupting your moment of bliss. The unfortunate news is, travel related sickness is far too common for comfort. From crowded airports, unfamiliar foods, abnormal sleep schedules, and stress caused by unexpected delays–your immune system takes a hit! Needless to say, if you’re planning a trip, it’s time to step up your health game. Hydration: Often times it’s difficult to stay well hydrated when you’re traveling. 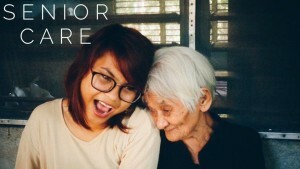 Rushed commutes, hot beaches, and extra activities can leave you depleted. Not only is dehydration often accompanied by a long list of uncomfortable side effects, but it also inhibits your cells from healing properly and ultimately damages your immune system. Digestion: Rich foods, extra desserts, and foreign bacteria all play a part in most of our travels. Since 70% of your immune system is located in your gut, it’s vital to give your digestive system some extra attention. Ginger is a powerful digestive aid, it has been known to help soothe your gas pains, digest and metabolize fats and even relieve common stomach pains. Immune Booster: When you’re in the business of protecting your sacred getaway, you want to come at it with all of your guns blazing. Beefing up your immunity with some extra supplements, such as zinc, adds just the right amount of power behind your punch. Zinc is a supplement that is helpful with reducing inflammation–that often leads to infection–and is thought to be the most important micronutrient, as well as a key co-factor of the immune system. Ultimately, the goal is to catch nothing more than a healthy glow and an extra pep in your step on your upcoming venture. So, next time you start packing your bags, don’t forget to add re:iimmune® to the top of your travel list. With its clinical strength hydration, blend of pre and probiotics, a dose of zinc, and 275mg of ginger extract, you’re on your way to healthy and happy travels! Information on this blog is provided for informational purposes only and is not intended as a substitute for the advice provided by your physician or other healthcare professional. You should not use the information on this blog for diagnosing or treating a health problem or disease, or prescribing any medication or other treatment.